As we deepen into the fall term, I just wanted to remind everyone to pat themselves on the back. You’re achieving something big and just because you’re not as ahead as you want to be, or just because you didn’t get the mark you thought you could get, you’re still doing a great job. It takes a lot of fortitude and willpower to achieve online studies, and that in itself deserves merit. There’s a lot of on-campus students who couldn’t do what you’re doing. Going to campus allows students to maintain focus, as they’re not at home where they can easily get distracted by television, video games, social media or general hobbies. The fact that you can stay focused, even with all of those things in your face, is no easy feat! Give yourselves credit, you deserve it! 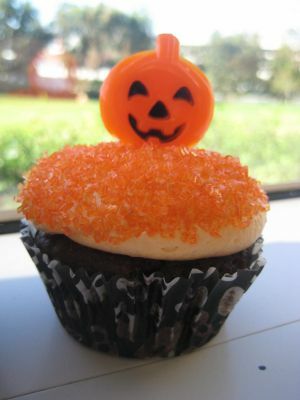 It’s Halloween, and though this time of year reminds me of ghosts, witches, jack-o-lanterns and other spooky things, it also reminds me of treats! Miniature Wonderbars are my personal fave, yum! Although this time of year is dedicated to little tasty treats, a treat so to speak, is something we reward ourselves with. Don’t you feel like you deserve a treat after the midterms, or that you’ll need one after that big imminent essay? I sure do! It’s good to reward ourselves after something we’ve worked hard on. This encourages us to make that extra effort so that when we do indulge, it’ll feel so much more rewarding! So, have you been craving that pumpkin spice latte all week? Go get it, you deserve it!